What does Shanzay mean, details, origin, short & easy attributes? Shanzay (also spelled Shanzae, "Shanzeh", "Shawnzay" Persian Ø´Ø§Ù†Ø²Û’) is a feminine name, which has the meaning Woman of Dignity and Princess/Royal. Shanzay is a female name of Old Persian origin, and its basic root is either from Shah- an -zay (lit daughter of king/royal princess) or Shaan-zeh (Of dignity/magnificent) . Shanzay is baby girl name mainly popular in Muslim religion and its main origin is Arabic. Shanzay name meanings is Princess. People search this name as Shanzay meaning in urdu, Shanzay mean in urdu, Shanzay, Shanzay name with urdu mening, Shanzay parisa, Shanzay meaning in urdu. Shanzay is written in Urdu, Hindi, Arabic, Bangla as شينزي, शंजय, شينزي, শান্জায়. Other similar sounding names can be Shaaban, Shaady, Shaaf, Shaafi, Shaafii, Shaaheen, Shaahid, Shaan, Shaar, Shaariq, Shaaz, Shabaan, Shabab, Shaban, Shabar, Shabaz, Shabb, Shabbah, Shabbar. Each letter meanings in Shanzay Name. Popular personalities with Shanzay Name. Shanzay Hayat is a model (people). She holds the title Miss Pakistan World2013, Miss Talent in Miss Pakistan World 2013, Miss Popularity in Miss Pakistan World 2013, Miss Perfect 10 in Miss Pakistan World 2013, Miss Talent inMiss Pakistan World2013, Miss Popularity inMiss Pakistan World2013, and Miss Perfect . 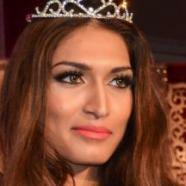 Shanzay was born Shanzay Hayat on December 1st, 1989 in Islamabad, Federal Capital province, Pakistan.